We noticed the Gladhammar Church from the road and decided to turn off and have a look. 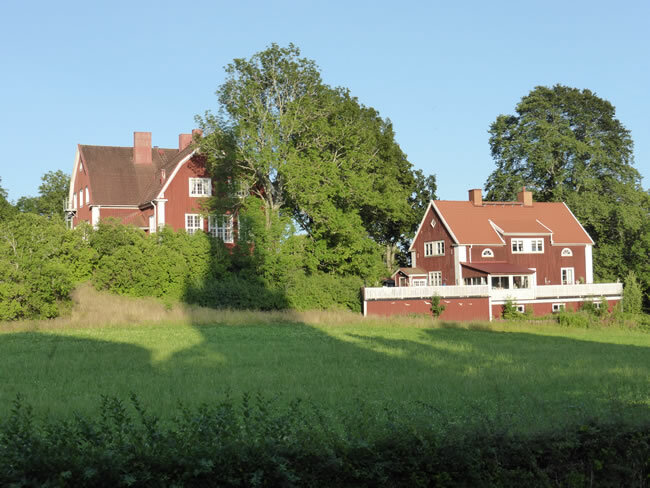 It is a lovely area and nearby to the church are typical swedish houses on what looks like quite a large farm. We parked next to the church to go in for a look.